The San Juan Skyway is a magnificent loop of Colorado State Highway located in Southwest Colorado. Rocky Mountain PBS partnered with state agencies and byway supporters to produce an award-winning multimedia television series, website and educational material. 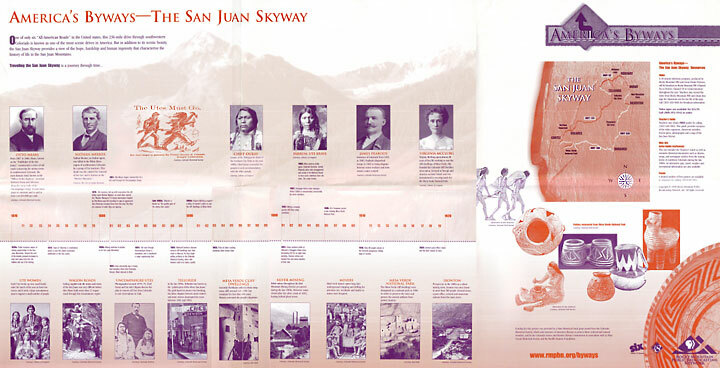 The infographic timeline wall poster (shown below) was packaged with the Teacher’s Guideline and distributed to Colorado elementary schools, middle schools, libraries, museums, and historical societies.